For today's post I have a belated Easter themed mini album made with the 'Jubilee' collection by Authentique. I'll admit that I was in a time crunch to create this project. I had other projects in mind to make but life simply got in the way & before I knew it, I had to have a project ready for today's post. 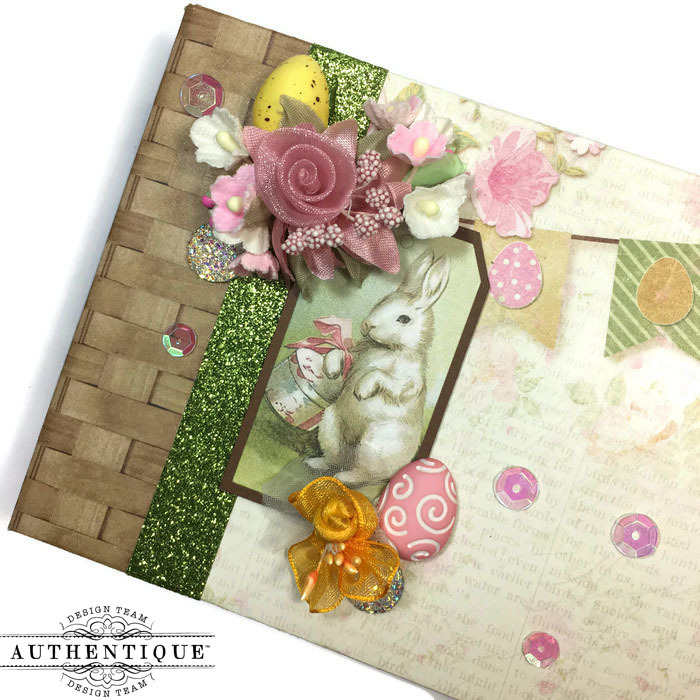 This mini album was my answer to a time crunch--I literally made it in two hours! It's quick, it's easy & is capable of holding a good amount of photos, journaling & memorabilia. 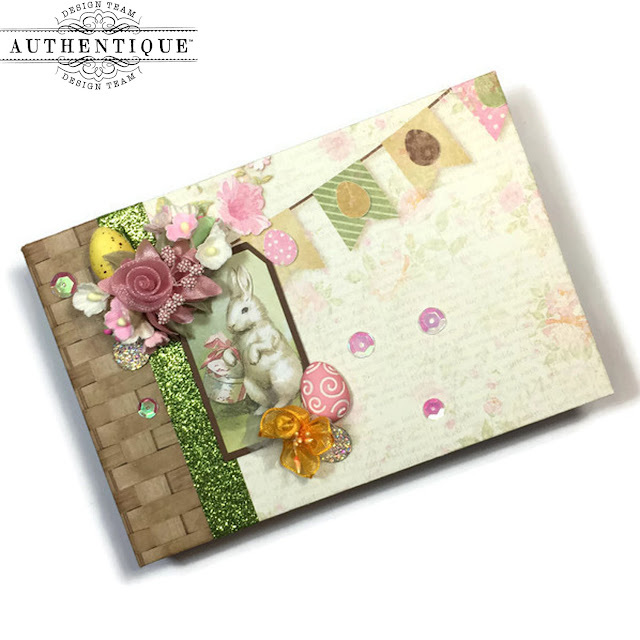 Mini album is available for sale in my Etsy shop, The Kraft Nook. If interested, feel free to visit my small shop here. The mini measures 6 1/4" x 4 1/4" inches with a 1" inch spine. 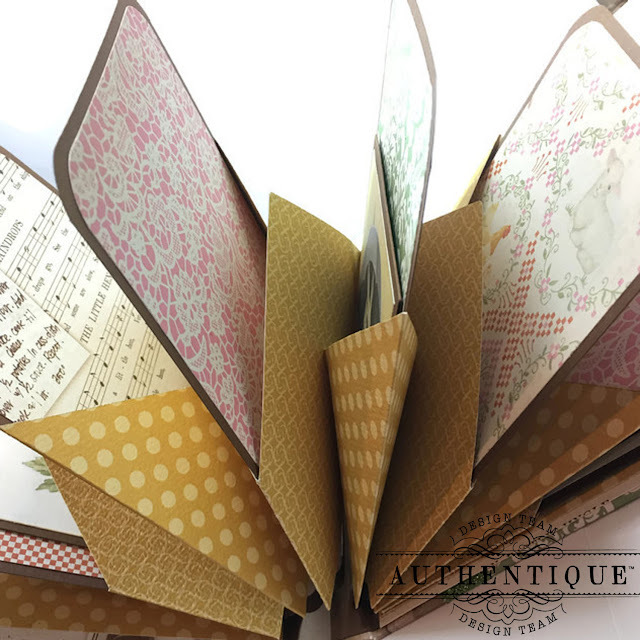 The covers & spine are made out of medium weight chipboard. 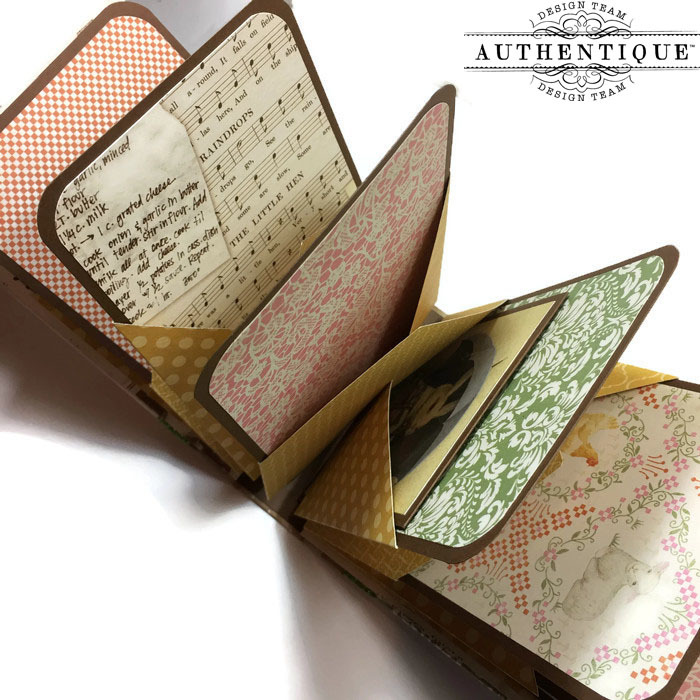 The inside of the mini album is composed of seven 'criss cross' accordion style pockets. 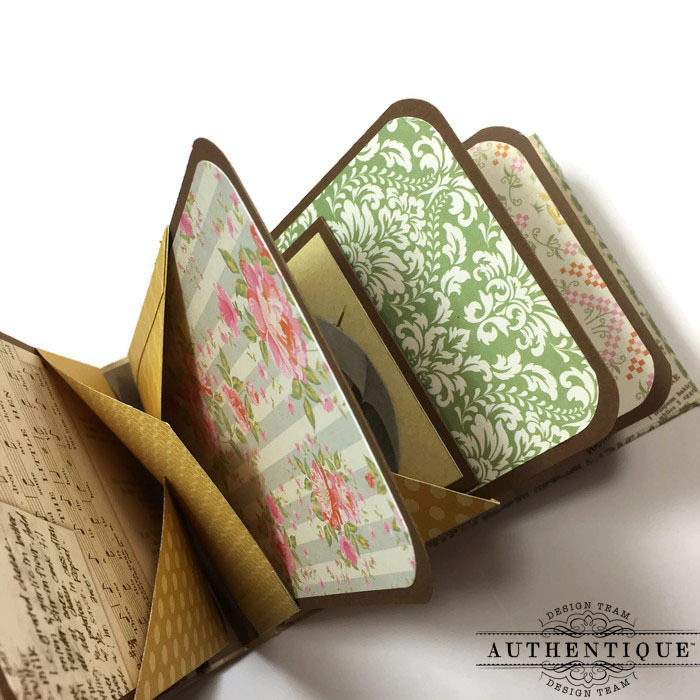 Each pocket can hold a large tag, photos, inserts & other memorabilia. The pockets measure 4" inches wide--in addition to the large tags, you can store free standing 6" x 4", 5" x 3" inch & wallet sized photos. Only the 6" x 4" inch photos would probably need to be trimmed by an 1/8" of an inch to comfortably fit into the pockets. Each tag measures 3 3/4" x 6" inches. 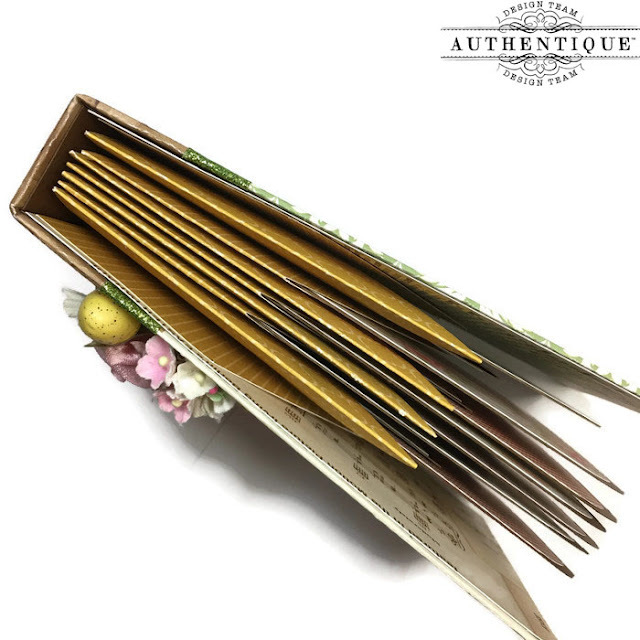 In addition to the tags I've also inserted a couple of cut aparts from the collection & little booklets that I've made also using the cut aparts from the collection. Below is a quick video showcasing the mini. Enjoy & thanks for stopping by!